On Saturday evening we drove over to Lakeland to meet up with some friends for dinner at Harry's Seafood, Bar & Grill in downtown Lakeland next to Munn Park. One of our friends recently landed a teaching position with a college in Lakeland and we agreed to help him check out some of the restaurants and bars in the area. 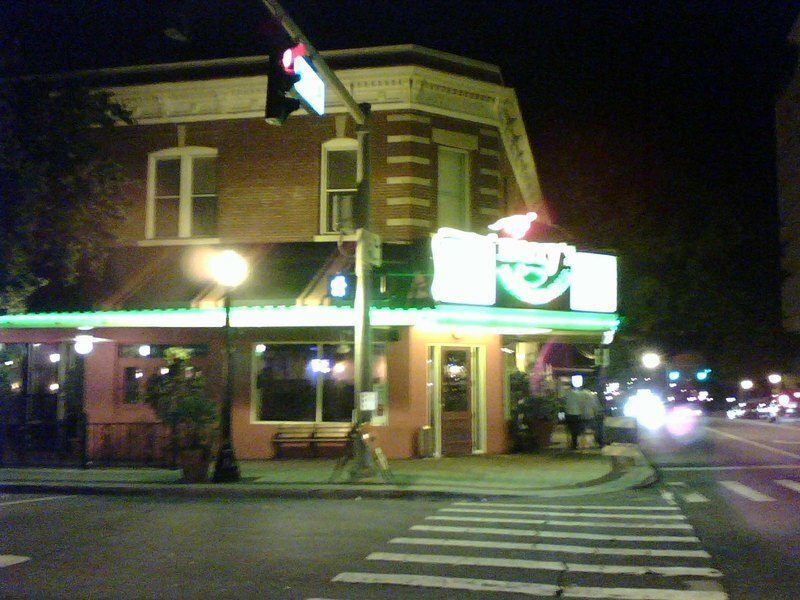 We had eaten at the Harry's location in St. Augustine a couple of times before and always had a good time. The Harry's in St. Augustine has a nice outdoor garden/dining area that reminds me a little of the French Quarter. I'm sure Harry's would be happy to hear this as they call themselves "a New Orleans style restaurant." 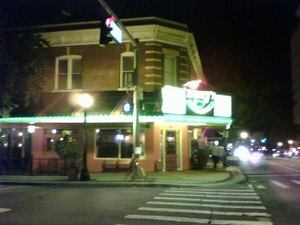 In addition to the St. Augustine and Lakeland locations, Harry's also has several other locations including a restaurant in Citrus Park (Tampa), which I haven't been to. I would love to say that the food was as good Saturday night at the Lakeland Harry's as it was in St. Augustine, but it wasn't. That said, we still had a good time, the service was excellent (everyone we met in Lakeland was very friendly) and it's a cool location. Lakeland's downtown is beautifully restored and a great slice of small town America. I suspect the "small town charm" would wear off for me after a while, but you're still only about an hour or so drive away from Tampa and Orlando. Back to Harry's, for an appetizer, I shared the fried calamari (healthy I know), which was good and I also had a small cup of gumbo. I can't say the gumbo was more than decent. I'm probably a tougher critic than most on Harry's since I grew up in New Orleans and know what "the real thing" tastes like. For my main course, I ordered the Shrimp and Scallops Orleans, which was shrimp and scallops in a cream sauce over a grits cake (a Northerner at the table didn't know what grits was which I got a kick out of) with a side of red beans and rice. Unfortunately, the red beans and rice were dry and didn't have any seasoning, but the shrimp and scallops were tasty. Everyone else at the table didn't seem to have any complaints with their orders. I should also mention that everyone gorged on Harry's warm fresh bread and tasty garlic and chive butter. Bottom-line: The food at the Harry's in Lakeland didn't knock my socks off, but I still think it's a good choice if you're already planning on being in the area. At least as of a year ago or so the Harry's in St. Augustine was very good.